The Library has arranged a free trial for the following two German resources. The trial is valid from 15 may until 16 July 2018. The two trials can be accessed via the Library E-resources Trials website. The following direct links also work on the University campus or through VPN connection for off-campus access. A database of primary source works of the German and Swiss Enlightenment. Comprised of scanned and digitized first editions in original typeface and first published complete editions by 642 German-speaking authors of the 18th century. As well as leading figures, also contains the writings of hundreds of authors who were less well-known, but who contributed to the literary Enlightenment with their lyrical, dramatic and epic works. The Gothic script is full-text searchable, across multiple search criteria, and downloadable. Search results will take you to the high-lighted word in the original text. 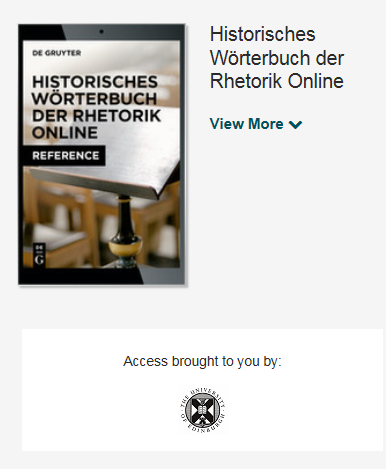 The Historisches Wörterbuch der Rhetorik [Historical Dictionary of Rhetoric] is the only comprehensive academic reference work in the field. For specialists and practitioners, this tool provides all current knowledge about Rhetoric in an electronically searchable form for the first time. Various search criteria (lemma, keyword, person, literature, etc.) allow targeted research and make the 1,300 articles easily accessible, also for scholars in related disciplines. The articles are thematically linked to each other so as to provide the reader with comprehensive information. 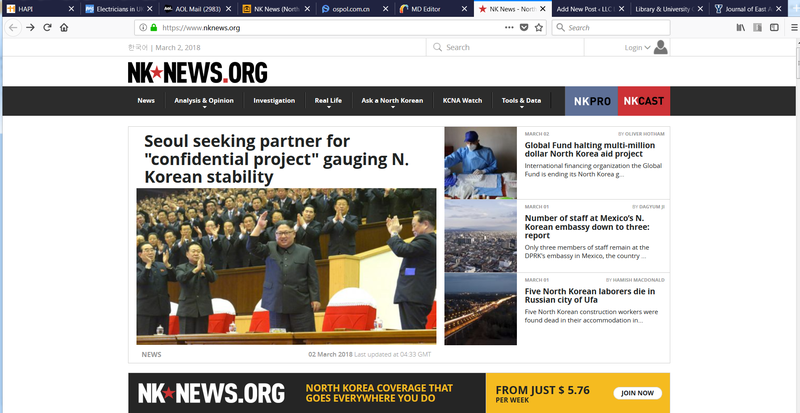 NK News is an independent, specialist database focused on North Korea. It aims to be a one-stop-shop on North Korea, bringing together news, opinion & analysis, research tools, data, and subject specialists in one convenient place. In addition to providing primary and secondary data on North Korea that is unavailable anywhere else, it offers research tools specifically tailored for users within government and academia. KCNA Watch provides up-to-date North Korea state media. The Library has arranged a trial of NK News, including NK Pro and KCNA Watch, from 1 to 31 March 2018. Access these resources on the University network. With the partial financial support from the Korea Foundation, we have now subscribed to 6 Korean databases of e‐books, e‐journals, bibliographies and newspaper archives covering a wide range of subject areas. The initiative was in response to the emerging Korean Studies programmes in the department of Asian Studies. These databases are all listed in the Databases by Subject for East Asian Studies. The trial is valid until 8th February 2018. 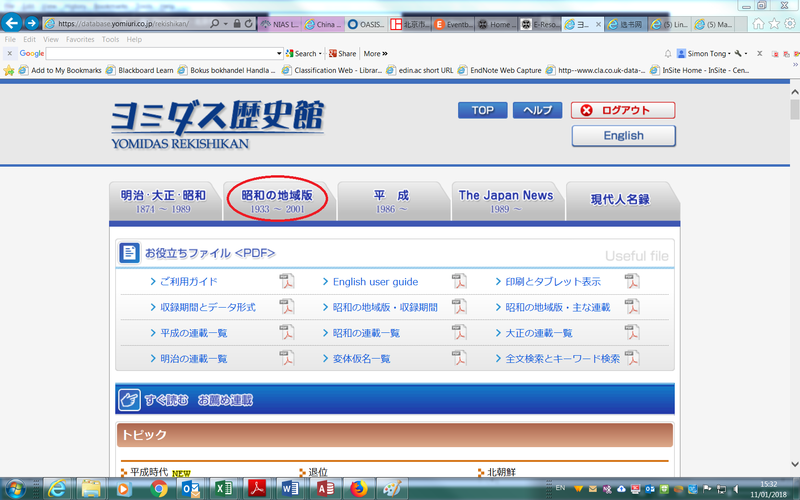 Yomiuri Shimbun is indexed in the Databases A-Z list as Yomidas Rekishikan which provides access to this newspaper. 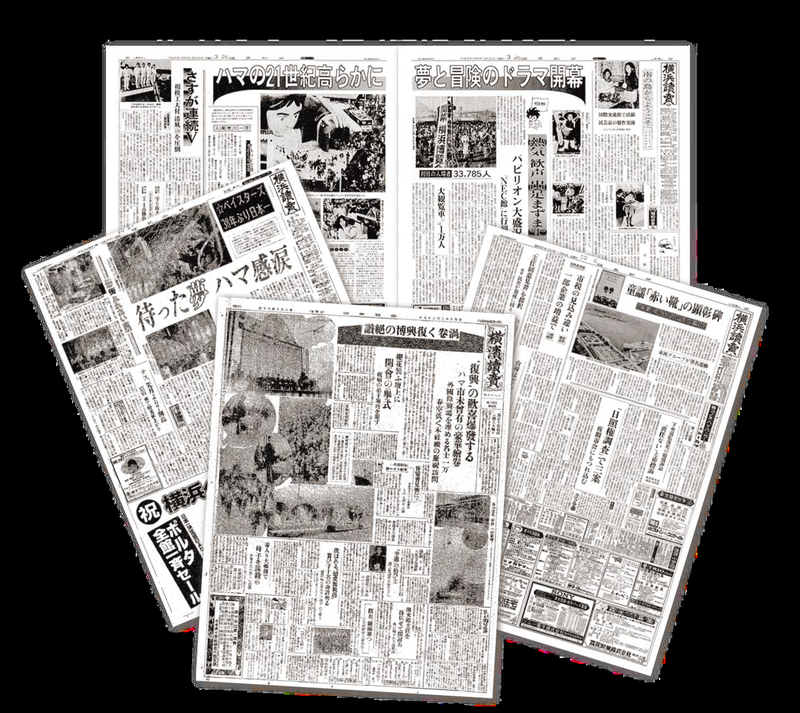 The section contains digital images of 2.76 million pages from 46 prefectures nationwide dating from 1933 to 2001. Click here to see the content coverage by regions and periods. The English user guide for Yomidas Rekishikan can be downloaded from here. Some colleagues and students have asked about online access to Nikkei Asian Review, a weekly magazine in English published by Japan’s leading business and information company which provides timely corporate, economic news from Japan and the Asian region. The good news is that the full text of Nikkei Asian Review is fully covered in two news source databases that the Library is subscribing to. Factiva provides full text content of this publication from 21 Nov. 2013 onwards, and in Nexis UK from 3 June 1980 onwards. Update schedule is same day as publication. Both databases are indexed in the Library’s Databases A-Z list (www.ed.ac.uk/is/databases-a-z). Superstar journals (超星期刊) which can be accessed on the Duxiu database platform. This resource contains over 6,500 full text post-1949 Chinese journals. Please also remember that we are subscribing to two Chinese journals already: China Academic Journals, and China Online Journals, both of which are in the Database list. Dacheng gu zhi dui (大成故纸堆). This is a huge database containing several series: 老旧刊(pre-1949, 7491 periodicals)，民国图书(39,950 books published before 1949)，《申报》(1872-1942)，古方志集(3566) ，党史(208 Communist Party publications before 1949)， 《顺天时报》(1907-1930)，《大美晚报》(1943-1946).This database is to be accessed from: www.dachengdata.com on the University network. Feedback about these trials are welcome. The University Library has for the first time purchased some Japanese e-books which are available to read on the EBSCOhost eBook Collection platform. Once on the platform, click “Choose Databases” at the top of the page, and then select both “Audiobook Collection” and “eBook Collection”, close the “Choose Databases” page, and then search for Japanese titles. Alternatively, just go to the pre-selected Japanese e-books list by clicking here. At the moment there are 56 Japanese e-books in total but the number will grow. BBC News reported yesterday that the National Palace Museum in Taipei has placed 70,000 high-quality electronic images in a free-to-download archive so that online users can enjoy its exhibitions. It also provides a database for users to download information on the history and use of the cultural artefacts. The Library has arranged a free trial of two digitised Korean newspapers, Choson Ilbo Archive and Dong-A Ilbo Archive. The digitised full-text content of both newspapers date back to 1920, each containing over 3 million articles. They are searchable by keyword, full text, date, and so on. Trial ends on 30 Sept 2017 for Choson Ilbo Archive and 31 Aug 2017 for Dong-A Ilbo Archive respectively. This is the first time we have access to Korean e-resources. As the Korean Studies programme unfolds, there will be more library activities in this area in the near future. The National Institute of Japanese Literature (Kokubunken) has made their new新日本古典籍総合データベース/Database of Pre-Modern Japanese Works (tentative edition) freely available at: https://kotenseki.nijl.ac.jp/　(Japanese interface) and https://kotenseki.nijl.ac.jp/?ln=en (English interface). The database, built out of Kokusho Sōmokuroku, a Japanese reference book published by Iwanami Shoten, and the largest of its kind, contains about 300,000 of 500,000 entries listed in the original book, along with digitized versions of materials referred to by the entries. It also allows one action search across repositories of multiple institutions.